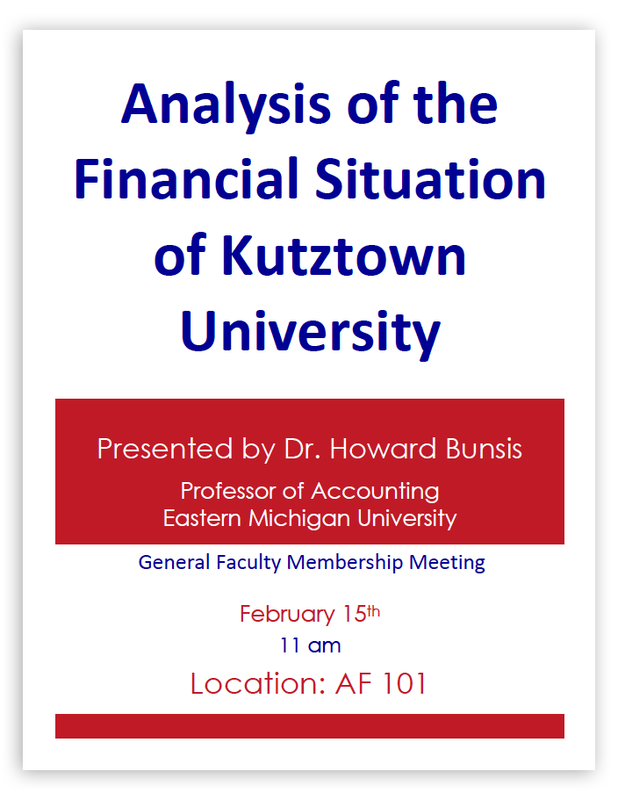 Howard Bunsis, the author of the “Bunsis Report” on the financial condition of Kutztown University and PASSHE, will be speaking on campus at 11 am in the Academic Forum, room 101. Bunsis is a professor of accounting at Eastern Michigan University who has been at the leading edge of helping faculty, staff, and students argue for transparency in the financing of higher education. He will be presenting his findings and walking attendees through his critique of “gloom and doom” budgeting at the University and the State System of Higher Education as a whole. The main findings of the Bunsis Report were that Kutztown University and PASSHE are in “solid financial condition;” that administrative budgets are “very pessimistic, as revenues are under-estimated and expenses are over-estimated;” and, that there is a persistent “anti-union sentiment” as evident in PASSHE’s recent strategic review and bond reports. Central to Bunsis’s approach to analyzing the financial condition of colleges and universities is to analyze an institution’s actual audited reports instead of administrative budgets. I had an opportunity to talk with Bunsis ahead of his visit to Kutztown’s campus tomorrow. I asked Bunsis about his approach to analyzing university budgets, and he stopped me in mid-sentence. “Let me correct you on one word: budgets. I do not analyze ‘budgets’,” he said. But when we have a “budget deficit,” it’s completely fabricated and made up. They include whatever they feel like including in revenues and expenditures. The budgets are not audited and they’re not examined or monitored. They can include anything they want. For those of us who do this for a living, we look at the actual financial state, not what the guys in the administration say is going to happen, but what actually happened. I asked him what he thought of the recent email Kutztown University’s president, Kenneth Hawkinson, sent to faculty about the budget. In that email, Hawkinson claimed that the university is in dire financial straights, which has some faculty concerned. We found that none of that is true of Kutztown. None of that is true anywhere in PASSHE. That’s the atmosphere they create there. But I am just going to report the facts and the facts are different from what you have been told. Flexibility is code for “we are not going to hire tenure-track faculty. We going to hire part-time and non-tenure-track people to teach to the greatest extent that we can.” That’s what flexibility means. It doesn’t mean anything else. I think the dam is about to break in the form of you guys…you use the word “retrenchment.” But I think we’re going to have massive layoffs and the legislature is going to love it. Republicans in the legislature are going to love it. “We don’t need the English teachers; we don’t need anyone teaching Shakespeare! All we need are people who teach kids how to get jobs and that’s what college should be for!” This is what those guys want to cut. They want to cut English. They want to cut History, Philosophy, Foreign Languages. These are the things that get cut first and they’ll do it. If Bunsis is correct, faculty teaching at PASSHE universities are in for the kind of experience that Edinboro, Clarion, and Mansfield have faced most acutely in 2013 and again in 2014. Based on his analysis, Bunsis said that his guess is that PASSHE is looking to get rid of one-fifth to one-third of the faculty. And that should sound the alarms. “I do think the layoffs are coming,” Bunsis stated. But the administration has created such an “environment of budgetary fear,” that some faculty are either afraid or believe the administration over what’s actually been happening on their campuses. Based upon some emails Bunsis has received ahead of his visit to Kutztown, he has heard that sense of “apathy and fear” from some faculty. I asked Bunsis what he would say to a faculty member who thinks it’s best just to keep their head down and hope for the best. “Well, that’s a good question,” he said. My response is, yes. Yes, that may be the path of least resistance. However, if you really want to change the place, you have to act collectively. You can’t just put your head down, teach your classes, do your research, and go home. 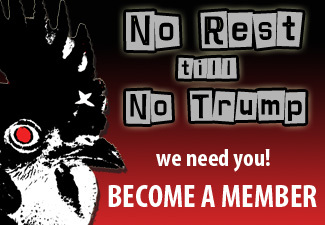 If you want to change the place, you have to act collectively. To me, the answer is for faculty to organize. I know you’ve already got a union. But I am suggesting a change in faculty attitudes. A willingness to picket, to stand up, and to even strike when necessary. For Bunsis, it was pretty simple. “We’re always better off when we act together.” And the stakes are pretty high. “The kids you are educating there are very similar to the kids we have here in Eastern Michigan,” he told me. You have a lot of first generation students and a lot of students who are working. A lot of students who are cobbling together a college affordability package between a couple of bucks from their parents, a couple of scholarships here, a loan there, and a job there. They take classes whenever they can around that. That’s how they get through. We’re not doing those students a service by having fewer faculty on campus. 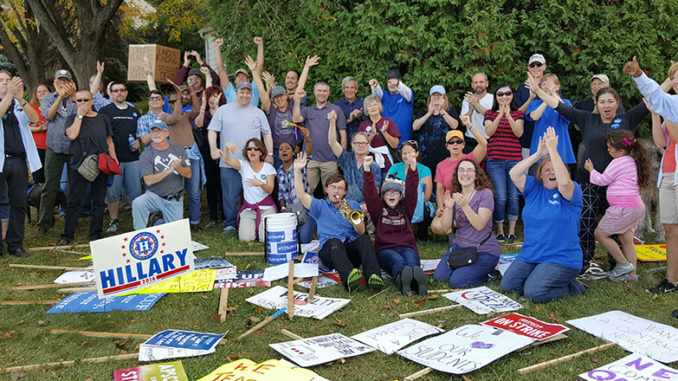 Faculty who care about them. The only way the kids are going to get through in a better way is with more attention from us. I firmly believe that. If tenure-track and tenured faculty are already fearful and choosing to put their heads down and not fight back, “that’s going to be even more applicable to a non-tenure-track faculty who believes she or he has no protection at all,” he said. As the saying goes, faculty working conditions are student learning conditions. 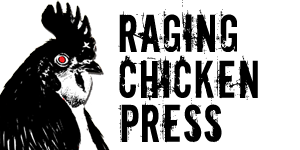 Raging Chicken will be there to cover Bunsis’s talk.